Why Do Cats Love It So Much? We've all heard about catnip and how for some strange reason cats are meant to go crazy for it, but have you ever wondered what exactly it is and why our kitties are meant to like it so much? Well, it is simply a type of herb that's related to mint. But just to confuse us all, it's not the same thing as a similar herb that's actually called catmint! The cat nip plant's latin name is Nepeta Cataria and it looks very much like mint, with grey-green heart shaped leaves with serrated edges. It can grow to about three feet tall and produces small white flowers that are spotted with purple. What Effect Does The Cat Nip Plant Have And Is It Safe? Generally they go a bit nuts about it, and this is why it is so popular, being used in catnip toys. The reaction usually lasts only a matter ofminutes and your cat might then carry on as if nothing has happened, until a couple of hours later when they go crazy for it all over it again! Pet owners shouldn't worry about these funny behaviours as the cat nip plant is quite safe and non-toxic. But if your feline friend does eat too much of it they might suffer from some short term vomiting or diarrhea. On the other hand some cats just don't react to it and in fact our own Little Mo didn't seem that interested in it at all! This may be because the sensitivity to this herb is inherited, passed on in the genes from mother to kitten. The chemical nepetalactone is the part of the cat nip plant that triggers these amazing responses. Even big cats such as Tigers can be sensitive to it and that would really be something to see! The short video clip below shows just how much some felines really love this magical scented plant. How Can I Buy Cat Nip For My Cat? 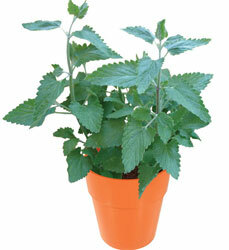 You can buy the cat nip plant in pots or as seeds to grow your own. They sprout quickly and are easy to grow, either in your garden or in little pots just like you might grow basil or parsley in your kitchen. 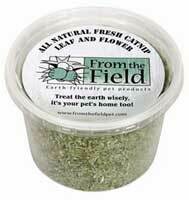 Your kitty might love it if it is grown in your garden as they can roll around in it. The effect from the fresh herb is often stronger than the dried varieties. Of course you don't have to grow your own herbs. There is an incredible range of products and cat nip toys all ready impregnated with the plant scent. These might be furry toy mice, bouncy balls, toys to dangle and tease, throw and chase or scratch and chew. After a while, the scent will wear off and so many catnip toys can be refilled with the herb so they can be used over and over again. You can buy it in spray form, powder or in leaves so you can re-scent your kitty's favourite cat toys, or use it to encourage your pet to use their scratching post. You can even buy bubble guns that have the scent in the bubbles for your cat to chase, which sounds like a lot of fun! And to reward your feline entertainer, there are cat nip drops and chews for that extra special treat. So why not try a few different catnip toys and treats to find out if your cat has the craze for it too? It could help keep them an active, amused and happy cat, and keep you entertained at the same time!